Senior Editor, Health-Matrix: Journal of Law-Medicine. J. Braxton Craven National Constitutional Law Moot Court Competition. 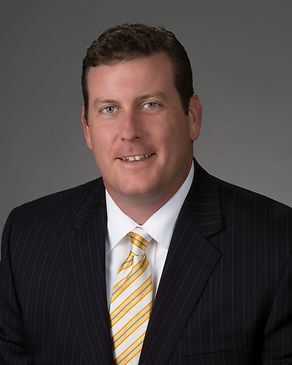 Scott Augustine, head of the corporate practice group in Atlanta, is an innovative and trusted advisor to, and advocate for, businesses across the country. Mr. Augustine serves as general outside counsel on legal and business matters to many of the country’s leading public and private companies, venture capital firms and investment banks. These impactful and important companies come from, and themselves often represent, a wide spectrum of industries including: commercial real estate (owners, builders and developers), consumer finance, family offices, franchising, health care, physician groups, licensing and distribution, manufacturing, technology, defense contracting, merchant services, retail services, telecommunications, and professional and environmental consulting. Working with entrepreneurs and owners, CEOs, general counsel, and other C-suite and lead executives, Mr. Augustine’s practice is focused on the intersection of law and business. Drawing on Chamberlain Hrdlicka’s core competency in tax, Mr. Augustine brings the firm’s tax attorneys and each client’s existing team of professionals together, to ensure that all transactions are structured in the most tax efficient manner to set the stage for business expansion and financial success. Buying and selling companies in a variety of industries: transportation, merchant services, manufacturing, automobile dealers, publishing, architecture, technology, logistics, call center, SBIC’s, medical consulting, retail sales. Creating different series and classes of equity. Negotiating syndicated commercial loans and bank workouts. Preparing complex operating agreements, shareholder agreements, and phantom stock plans. Structuring joint ventures to acquire, develop, and construct commercial real estate projects. Co-Author, "Many Franchise Agreements Are Drafted to Provide the Franchisor a Unilateral Right to Purchase a Franchise,” Franchising Today, May 2016. Co-Author, "10 Rules for Buying or Selling a Franchised Hotel," Hotel Management," March 2016. Co-Author, "Franchise Agreements: 5 Points to Consider Before Signing," Restaurant Hospitality, February 2016. Co-Author, "Set The Terms: Top Legal Issues to Consider When Negotiating a Franchise Agreement," Food and Drink, Summer 2015. Co-Author, "It Pays to Know Your Franchise Agreement," Convenience Store News, August 2013.